Sorry for the lack of blog posts lately. I've been experiencing back pain and I finally went in to the doctor to see what's up. They are thinking that something is pinching my sciatic nerve. I had issues with that a bit when I was pregnant with both kids but, nothing that was this painful. So far I'm to ice my back, take anti-inflamatory pills and muscle relaxers. It's only been 1-1/2 days on that regimen so we'll see how this goes. So with all of this I've been cutting my time back from sitting on the computer. I'm sure many of you know of the clothing store Ruche and I just saw on their blog that they have a homemade holiday guide look book that is full of fun things to make. 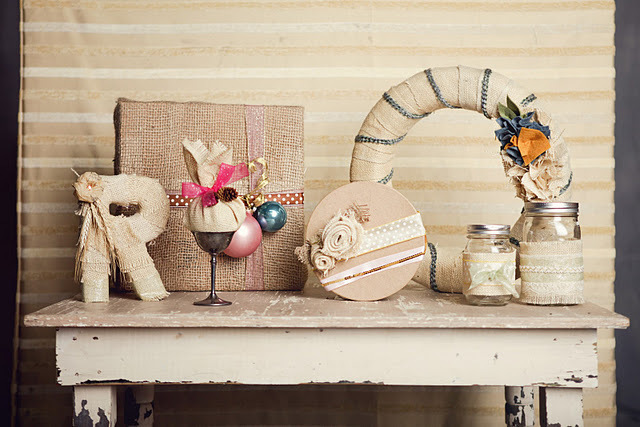 If you have you should glance at it - really pretty things to make for the upcoming holidays. Also, thank you for all the kind words that I've been receiving on the LEGO party I did for my son's 6th birthday party. It really is so nice to hear.